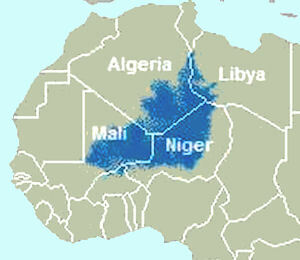 Mali — formerly the Soudan Français colony — became independent from France in 1960. It briefly merged with Senegal before becoming its own sovereign country under the rule of Modibo Keita. Plagued with poor agricultural seasons and the failure of Keita’s socialist policies, his regime was toppled by a group of junior army officers led by Lieutenant Moussa Traoré in 1968, who later civilianized his administration under the Second Republic. A heavy-handed authoritarian government plagued with weak capacity, Traoré’s regime had few successes to boast about when the end of the Cold War in 1989 brought winds of political change across Africa. In 1990 cohesive opposition movements began to emerge, including the National Democratic Initiative Committee and the Alliance for Democracy in Mali (Alliance pour la Démocratie au Mali—Adema), but the regime refused to usher in a fullfledged democratic system. The increasingly turbulent political situation was complicated by the rise of ethnic violence in the north in mid-1990. A formerly dominant people in the region, the Tuareg suffered progressive marginalization and impoverishment throughout the independence era, culminating with dramatic droughts in the mid-1980s, which all but wiped out their livelihoods and lifestyles. Many of them sought refuge in Libya where their youth were recruited into Kaddafi’s Islamic Legions. An estimated 3,000 of these youth returned to Mali in early 1990 and launched a quasi-separatist insurgency. Most of the conflict, from 1990 to 1995, was characterized by relatively low-intensity skirmishes and irregular rebel attacks on local military or government outposts. The returnees were later joined by young unemployed Tuareg intellectuals who shared their distrust of traditional powers. These men had failed to find employment in the local deconcentrated state structures which were mostly staffed by southerners or Songhais (sedentary northerners). The initial hostilities of the second Tuareg rebellion, which simmered from 1990 to 1996, were led by Iyad ag Ghali against the Malian military outpost in Menaka in June 1990. In response, and with the help of Algerian mediators, the Malian government and Tuareg leaders signed a peace agreement in January 1991 known as the Tamanrasset Accords. Many of the key tenets of the Tamanrasset Accords ironically reappeared, fifteen years later in the 2006 Algiers Accords. The Tamanrasset agreement failed instantly. The fall of Mali's military dictator Moussa Traore in March 1991 increased levels of uncertainty and helped accelerate the rebellion in the north. In the spring of 1991, as the Tamanrasset agreement was failing and Traore was toppling, internal differences between Iyad ag Ghali's Ifogas dominated Popular Movement for the Azawad (MPA) and non-Ifogas Tuaregs sparked several spin-off rebel groups. These included the Revolutionary Army for the Liberation of the Azawad (ARLA) led by Rhissa ag Sidi Mohamed, and the Front for the Liberation of the Azawad (FPLA). While the ranks of the MPA were primarily Ifogas, ARLA's membership was primarily Idnane and Taghat Melet. Chaman-Amas from Gao and Menaka formed the backbone of the FPLA. Although it did not begin as such, the second Tuareg rebellion devolved into multiple rebel movements generally divided along tribe or fractional lines. The existence of these divisions, however, is not sufficient to account for the ferocity of the second rebellion. Massive social dislocations triggered by extensive droughts in the Sahel during the mid 1970s and 80s, and the influx of a new cadre of young Tuaregs fresh from military training in Libya and other points in north Africa were likely more important. Restive youth formed the core of combatants during the second rebellion. Their militarization, revolutionary spirit and desire to dismantle the traditional master-vassel relationships between Tuareg groups that the French and Malian government worked so hard to codify and exploit, ushered in a break with the older generation of Tuareg leaders. One must also not discount the impact of the fall of the Moussa Traore regime as an unforeseen shock that severely altered the balance of power not just in Bamako but in northern Mali as well. The rebels originally wanted a “free Tuareg state” yet there was little of substance beyond such posturing. In negotiations with the Bamako government, it became clear that they wanted regional autonomy and effective decentralization to be able to be in charge of their local affairs. The Tamanrasset Agreement of 1991 offered the rebels decentralization, with a “particular status” for the three northern regions, which constitute the traditional Tuareg area known as Azawad (Kidal, Gao and Timbuktu) with a high degree of autonomy. Specifically, the agreement provided for “local assemblies with legislative and executive branches that will regulate all economic, social and cultural issues” specific to these regions. The return to Mali of large numbers of Tuareg who had migrated to Algeria and Libya during a prolonged drought increased tensions in the region between the nomadic Tuareg and the sedentary population. Ostensibly fearing a Tuareg secessionist movement in the north, the Traoré regime imposed a state of emergency and harshly repressed Tuareg unrest. Despite the signing of a peace accord in January 1991, unrest and periodic armed clashes continued. Following Traoré’s violent repression of several pro-democracy demonstrations, Lt. Col. Amadou Toumani Touré (ATT) seized power in a coup d’état in March 1991. A transition government was quickly established and a National Conference held in August 1991 to write a new Constitution, which was adopted by referendum in January 1992 and ushered in the Third Republic. Implementation of the Tamanrasset Agreement unraveled after the Traoré regime was overthrown. Further negotiations with the new regime to resolve unrest in the north led to the adoption of the National Pact in April 1992. Among the measures agreed on were the creation of a new administrative region of Kidal, the incorporation of Tuareg fighters into the armed forces, the demilitarization of the north, and the implementation of programs designed to promote greater economic and political integration of the Tuareg. Among other things, the Pact also provided for a “particular status” for the north including local, regional and interregional assemblies responsible for agriculture, livestock, water, urbanism, housing, environment, industry, transport, communication, health, education, culture, and tourism. Tuareg demands for autonomy, first accepted in a ceasefire agreement in 1991, resulted in a general push toward decentralization in the 1992 Constitution. Application of the Pact was very slow, however, and deeply deficient, whether as a result of the government’s unusually weak capacity or lack of goodwill. The 1992 Constitution did not include the north’s “particular status.” Yet, the concessions initially granted to the Tuareg found their way in the general decentralization reform which began to take shape in 1992. As such, the insurgency represented a crucial impetus of the overall decentralization process. In a country as underdeveloped and bureaucratic as Mali, however, things rarely happen fast or smoothly. Despite a remarkable degree of national consensus and goodwill from the new authorities, decentralization reforms unfolded haltingly. Although it took several more years for decentralization to be implemented, these events set in motion a remarkably thorough process with genuine local initiatives (such as the creation of communes from below by the participating villages). Partly as a result, scattered violence continued after 1992. The peace agreement, which aimed to allow greater autonomy in the north and increase government resource allocation to the impoverished region was celebrated in 1996 in Timbuktu during an official and highly publicized ceremony called Flamme de la Paix -- peace flame. Since then, some Tuareg groups have criticized the government for failing to fully implement the terms of the agreement, and sporadic violence continued well into the late 1990s. Mali's military is underpaid, poorly equipped, and in need of rationalization. Its organization has suffered from the incorporation of Tuareg irregular forces into the regular military following the 1992 agreement between the government and Tuareg rebel forces.